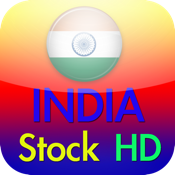 Trading India Stock App is the next generation of stock analysis app .The ability is to find which stock on fire easily, to sort the stock change% , also to tell you which price to sell or to buy. It's trading logic come from hedge fund manager.Try it ! Trade it ! . This App will give you the strategy called 'Dynamic Stop Line', it can observe trend line break,and identify a reversal in a series of rising or falling peaks and troughs. 1).App Support in iPad or India Stocks Support in iTunes. 1.Provide India Stock Data ,Include day week month. 2.Sort function:weekly,monthly.. more than 20 table field can to sort: Use the sort function to find or search the bullish or bearish stock. 3.Use Dynamic Stops Line to show the stock direction,in bearish or in bullish . It is also show you what close price will turn the trend easily. 4.Create Watchlists with symbols .